Covers all the main topics including forces, electricity, magnetism and astronomy - all illustrated with humorous drawings, cartoons and diagrams. Includes simple experiments and internet links to recommended websites to find out more. 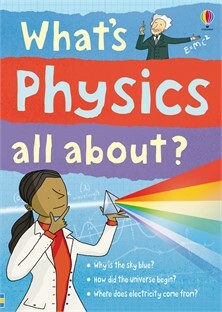 Discover why things fall to the ground, how sound travels through walls and how many wonderful inventions exist thanks to physics in this lively, informative guide exploring what physics is, how it works and why it is vital to everyday life.